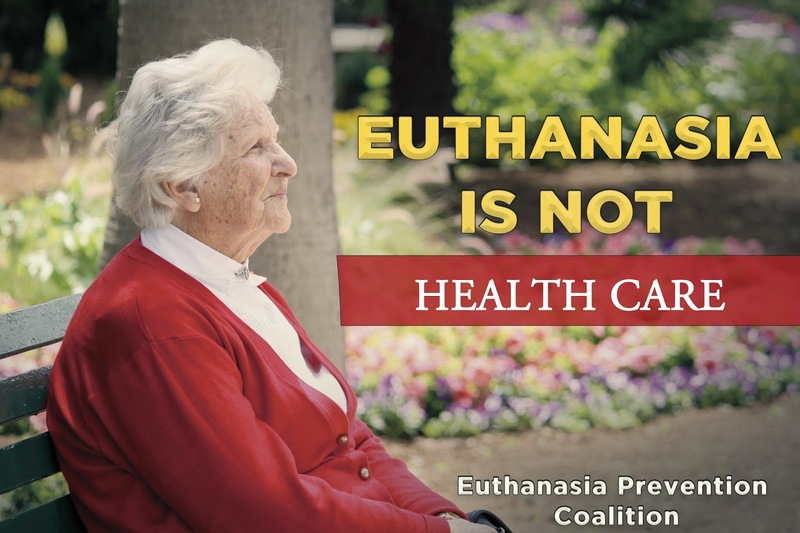 Euthanasia Prevention Coalition Euthanasia Prevention Coalition: Euthanasia contagion - it exists! "Je me souviens" is the official motto of Quebec. The motto means "I remember". But with the alarming news about the push for euthanasia and assisted suicide in Quebec, which will affect the rest of the country as well, it makes me question if the French people of Quebec really do remember and appreciate how very much God helped them throughout history such as by sending them St. Joan of Arc and numerous other beloved Saints to help them Win in their dire struggles. Do they remember that killing another human being is clearly forbidden by God's Ten Commandments? Please everybody Help to stop the legalization of euthanasia and assisted suicide. Once legalized, based on other countries where it has been done, choice is an illusion, the disabled feel pressured to opt for death, the elderly fear going into the hospital that they'll never get out alive due to being killed against their will - because it is happening to others. Furthermore, studies show that legalizing these killings has a serious suicide contagion effect. Killing is not caring! ● Oregon's physician-assisted suicide law went into effect in 1998. ● By 2000, Oregon's regular suicide rate was "increasing significantly" See ("After decreasing in the 1990s, suicide rates have been increasing significantly since 2000"). ● By 2007, Oregon's other (regular) suicide rate was 35% above the national average. ● By 2010, per the most recent report, Oregon's other (regular) suicide rate was 41% above the national average. Life is precious and only G-d Knows Everything! Can doctors determine when a person is ready to die so that their soul is at peace and their loved ones have the greatest chance to find the eternal peace and joy of Heaven and avoid eternal suffering? Who can Shoulder the burden of killing a person before they are ready to die - and not sink eternally if that soul wasn't ready... We all walk upon a Divine High Wire in life. Being loving and honorable and abiding by God's Commandments keeps us Up and protects our own eternal souls. When we miss the mark of Love and break God's commandments, this is called sin and we risk falling eternally. The Sacraments of the Catholic Church are God's Help for us to get back Up - because God Loves us and doesn't want anyone to suffer eternally. Our hearts are restless until they rest in God! Trusting in Jesus and turning to God and His Divine Mercy can help people but turning to euthanasia and assisted suicide is breaking away from God and is heading in the wrong direction! God is Love and only Divine Love alleviates all pain - and it lasts forever!